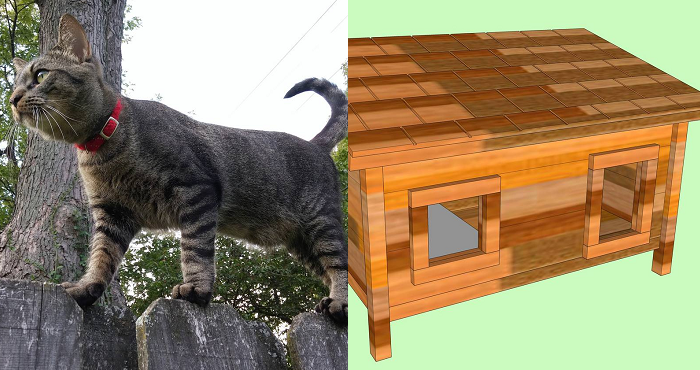 Creative Cat Owner Needed A House For His Feisty Feline Friend. The Finished Project? Stunning! When he heard that this cat was on its way to a shelter, he just couldn’t let it happen. That particular shelter isn’t a no-kill shelter, and the chances of this cat being put down were very high. You see, this furry friend didn’t like to be indoors, often fought with other kitties, and refuses to use a litter box, making him a bad candidate as an “indoor” cat. With the frigid winter months creeping up on them, they needed a solution that worked for everyone…and that’s when one clever human got to work designing an awesome cat house! After measuring out the dimensions (and giving the door a little more space to accommodate the well-fed kitty), he began to assemble the boards, gluing them together and staining them with a coating to protect it from the elements. He even installed a custom window! A kitty heating pad was placed on the floor to keep the space nice and cozy during the frosty mornings. The kitty still slept indoors at night, but after being given this awesome cat house, he might not want to. 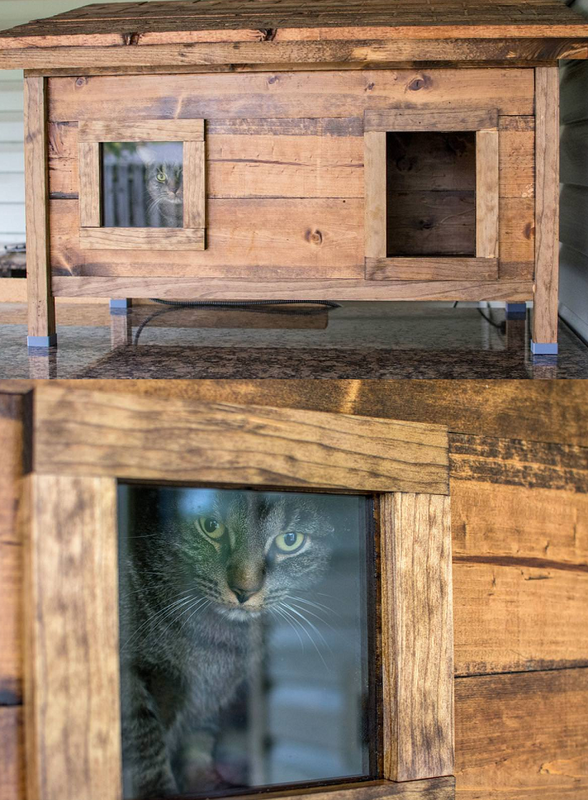 He shared his project online, and while people were excited for his cat to have such an awesome new hangout, they did say that he should add another door in case his cat needed to make a hasty exit from intruders, like raccoons or foxes. What do you think of this neat cat house?